Alexander McQueen Kingdom–unapologetically sensual and raw, Kingdom is in a league of its own. It makes a statement, and it does so brilliantly. Bvlgari Bulgari Black–the genius of perfumer Annick Menardo is in turning the notes of rubber, smoke and tar into a seductive potion. Comme des Garçons and Incense Series–avant-garde and daring, Comme des Garçons fragrances have charted new waters and dared to break rules. Insence Series is remarkable in paying tribute to the most ancient form of perfume. Etro Messe de Minuit–unusual and striking composition, blending the exotic with the familiar. Fendi Theorema–I admire perfumer Christine Nagel’s treatment of woods and spices. Theorema is a beautiful example, rich, glowing, with an elegant sillage. Despite its full-bodied character, it manages to sustain an airy quality. Frédéric Malle Musc Ravageur and Carnal Flower–the former is a post-modern Shalimar, the latter is the most beautiful tribute to tuberose since Robert Piguet Fracas. I admire the concept and the creativity of Frédéric Malle’s line, and I find it difficult to pick only a few to highlight. I would also add Angéliques Sous la Pluie as a modern illustration of a classical citrus cologne genre. 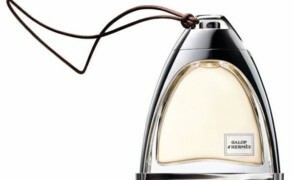 Hermès Eau des Merveilles–ambery, salty notes highlighted in the most remarkable fashion. Without being marine, Eau des Merveilles beautifully conjures the scent of the beach at dusk. Kenzo Flower–abstract composition that takes the plush idea of a classical floral oriental and gives it a crisp twist. Lancôme Trésor–peach made of rose petals in a monolithic style initiated by perfumer Sophia Grojsman. Monolithic refers to the fact that the fragrance unfolds panoramically, with the composition retaining its character throughout its development. This technique can be contrasted with the classical sequential style of composition, which is demonstrated by fragrances like Carven Ma Griffe and Nina Ricci L’Air du Temps. L’Artisan Parfumeur Premier Figuier–innovator among niche/artisanal lines, L’Artisan Parfumeur has launched several excellent fragrances since the inception of the line in the late 1970s. In the 1990s, Premier Figuier is one of the fragrance that stood out the most. It was the first composition to incorporate a novel green fig accord, created by perfumer Olivia Giacobetti. It was subsequently used by Giacobetti to create Philosykos for Diptyque. Another Giacobetti’s creation for L’Artisan, Dzing!, can be recommended as an example of the ethereal animalic composition. Narciso Rodriguez for Her–composition that has given a new twist to the simple idea of a floral musk. Perhaps, it can be faulted on the innovation parameter, but it has been responsible for setting a new trend for the musky-woody blends. Serge Lutens—Ambre Sultan is considered to be the gold standard amber. Bois de Violette showcases the nuanced work with woods. La Myrrhe is a modern aldehydic fragrance. Muscs Koublaï Khan is a potent, yet sophisticated animalic blend. The entire line is worthy of exploration. Love them or hate them, Serge Lutens fragrances are not likely to leave you indifferent. Shiseido Féminité du Bois–the quintessential masculine note of cedarwood is made feminine. Interesting execution and striking effect. Yves Saint Laurent M7–perfumers Alberto Morillas and Jacques Cavallier have worked together on numerous projects, but M7 is among their most daring. This woody oriental cannot be described in any way but arresting. Thierry Mugler Angel ad from Parfums de Pub. *Vétiver breaks my own rule of only including fragrances created since the 1990s, however its incredible marine accord has anticipated the marine trend of the 1990s. I simply had to highlight it. Leopoldo: Very glad to see Annick Menardo making the list, even though Bulgari Black isn’t my personal favourite from her, as well as Giacobetti. I think it’s a very interesting and thought-provoking series of scents – Eau des Merveilles has a rightful place in there for its originality. carmencanada: Dear V., how could I not agree with each and every one of your choices? They’re spot-on. I’m racking my brain (this, before my first coffee) trying to find something to add and came up with Patou’s Sublime — perhaps not a ground-breaking creation, although I can’t think of anything similar, but one with sufficient qualities and character to endure the test of time. And I think Frédéric Malle’s entire line could have been nominated: I keep discovering and re-discovering its exceptional quality, originality and coherence. Not a blooper in there! aryse: Beautiful list Victoria.In my opinion, if each fragrance is not necessarily best-seller, I think the following are wonderful, timeless and at the top of perfumes : Bulgari black and Dzing (leather perfumes), musk ravageur (for me the best musc never created), Angeliques sous la pluie (very nostalgic), Feminité du bois (great accord cedar-rose), Bois de violette (one of the greatest perfume of perfume History) and Angel (or A-men version for men) a great new concept of perfume. I enjoyed reading your opinions justifying your choice of classics. The selection, as ever, is impeccable; can’t quibble with any on that list. Apropos M7: Arresting? I thought it takes no prisoners. Czech & Speake no. 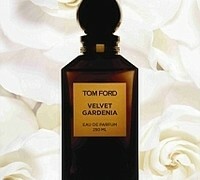 88: The definitive rose fragrance for men. minette: fun list. not a fan of a couple of those (kenzo flower, tresor, eau des merveilles), but i think they deserve a spot on your list because of the place they hold in the perfume world. i would’ve left off NR (snore)and made ambre extreme my amber gold standard, but that’s why lists are fun – they make you consider your own favorites. Gaia: What an interesting list! The only one that I’m not sure about is the Narciso Rodriguez, simply because I can’t smell it. My nose insists that it doesn’t exist. k-amber: I am glad you include C des G Incense series. Kyoto and Avignon are my favorite. A few listed scents are not tested, so I will definitely try! Interesting list – what is a classic ? May I add Annick Goutal Passion and Christian Dior ‘s Poison, Dolce Vita? I am in a transition phase now, between winter’s last gasp and spring’s shy arrival . I don’t know what perfumes to wear .I don’t do well in March . evilpeony: definitely (and pleasantly) surprised to see Kenzo flower in your list. people who are not fond of light airy fragrances seem to overlook this one, but it is one of the very few ones from that genre that i enjoy. it meets my need for balance in a composition: at once watery and floral and subtly green that finishes off with a whiff of powder. i was going to suggest cool water and l’eau de issey as the standard of aquatic fragrances, but i guess vetiver preceeds all these. happy to see carnal flower (the most beautiful tuberose perfume for me) and musc ravageur on the list. musc ravageur smells like no other musk- a truly revolutionary take on something that’s so ubiquitous. SL’s chergui is a fine example of perfume with tobacco and smoke notes. Karin: Excellent list! You make me want to try them one by one again. Some of these I love and own and some I dislike immensely. I don’t see any similarity between Feminite du Bois and Dolce Vita, at least how they take on my skin. I wore DV a lot at one time, and I’m tired of it. But I always got compliments. I think aspects of FdB are found in many fragrances now which makes it more of a trend setter. I wore it when it first came out. Tresor simply smells like an old woman to me. I can’t figure out why it is so popular, even with young people. Or why out of the samples this is the one that was chosen (of course, I didn’t smell the samples.) If popularity is any yardstick they chose the right one. BoisdeJasmin: Karin, Feminite du Bois and Dolce Vita share the same main accord–violet toned cedarwood. It is also in Bois de Violette. So, it is a very distinct link. benvenuta: I love this article. I don`t have much to add (I can only add AG Vetiver to my “to-try” list). I am glad you included Tresor and Flower. I love both of those and yet, somehow I never wear them. I like that they are examples of some new and interesting element, while they still stay inside boundaries of their genre and are easy to wear. I do love some of the innovative scents that are less esy to like (Black, Dzing). Yet, I admire the exercise in balance that can is shown in Tresor and Flower – those scents are innovative but not scary.